Will social gaming dictate future advertising spend? Will social gaming dictate future advertising spend? You Are Here:Home / Social Media / Will social gaming dictate future advertising spend? Will social gaming dictate future advertising spend? Gamers are considered to be reclusive geeks. They wrap themselves in comforting cocoons of virtual reality in which they become gods. Stereotypically, they don’t get out much. 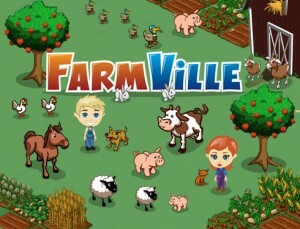 Social gamers – those that play games, like Farmville, on social media sites – are a new breed. They’re average people who like a bit of escapism when they get home from a long day at work. At least they started out that way. Times they are a’ changing, however, and social gamers are starting to get more involved in their games to the extent that they could soon become power users that define online advertising. While marketers focus most of their attention on the battle for a share of PPC, mobile and display advertising, with clicks and purchases as the prize, advertising in social gaming has drifted below the radar. A study commissioned by RockYou and carried out by Interpret has found that social gamers are avid ad clickers – relatively speaking. The study consisted of a survey of 2000 social gamers based in the United States. Of the 2000, 24% have clicked on at least one ad that appears in their social game of choice and followed up by making a purchase. Before businesses get too excited, however, they should note that there is a bit of a catch: many of the purchases are virtual and are intended to achieve virtual ends. It’s not unusual to hear that 32% of social gamers shop because it makes them happy – it’s not called retail therapy for nothing. But, unlike shopping in the real world these rewards aren’t tangible. MediaPost cites the study, which found that 7% of social gamers are willing to use real money to buy a virtual item that is not for the game being played (it’s still virtual though); 14% use real money to buy virtual money (or currency, which is the more accurate term); 13% use branded virtual goods (Nike t-shirts, Adidas shoes); and 18% pay for items in a particular game. Very interestingly, 55% prefer to earn virtual money via ads than purchase items with real money. This is interesting because, should the trend continue, marketers may have to adjust their strategies to include virtual items. For instance, coupons should perhaps be transferable between deals in-store and deals in games. Further stats show that 45% of social gamers will use in-game ads to earn virtual currency; 42% like social games that offer real-word rewards; 41% will share reviews with their social networks in return for virtual currency. As we can see, real-world rewards aren’t discounted but the real value seems to lie in the virtual sphere. Just when marketers were getting used to the idea of spreading their budgets across digital and traditional platforms, along comes a new channel. One that looks like it could set the tone for the future. Do you think this is the start of a new marketing trend? Or will it simply be tacked on as another avenue to be considered, leveraged and exploited?